Did you know you can see stars in the city? (And, yes, we mean of the cosmic variety, although we do have our fair share of local celebrities.) If you think we’re kidding, prepare to get starstruck. There are many incredible (and free!) 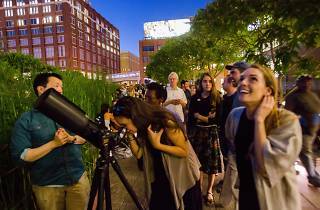 things you can do on the High Line this summer, and one of the most popular activities is stargazing. 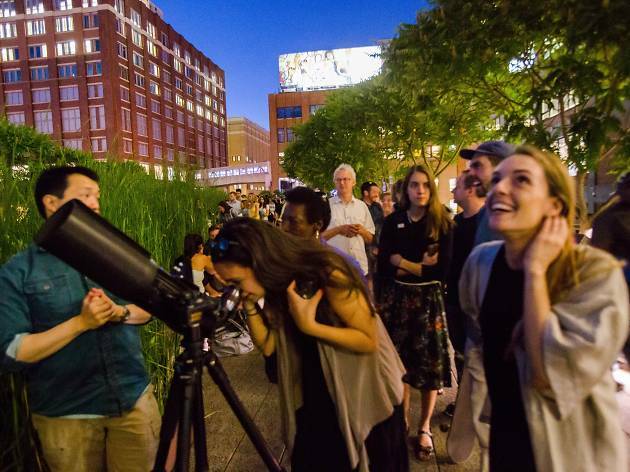 Members of the Amateur Astronomers Association of New York bring their telescopes to the High Line for you to use, and they point out celestial bodies above the park every Tuesday night starting at dusk. Just head to the Diller-von Furstenberg Sundeck on the High Line at 14th Street to check ‘em out. The telescopes will be available through October, so you have plenty of time to experience this rare treat in the city! It's also pretty romantic, in case you're searching for unique date ideas.